Genuine 1920s-vintage Gibson UB2, fully renovated by master luthier Eddie Uttley, with all metal parts gold plated. 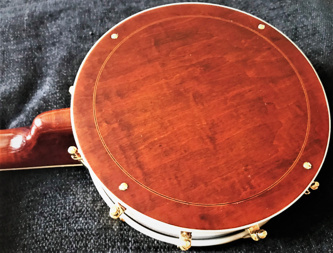 The appearance is stunning, and the uke is expertly set up for Formby-style playing, with a great sound. 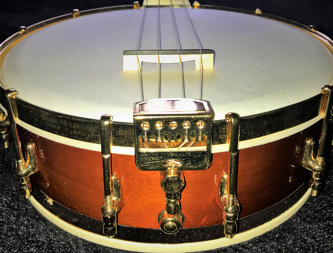 A beautiful de-luxe example of what is one of the most popular quality banjo-ukes. Delivery possible within reach of East-Midlands, otherwise it can be shipped; case can be provided by arrangement.